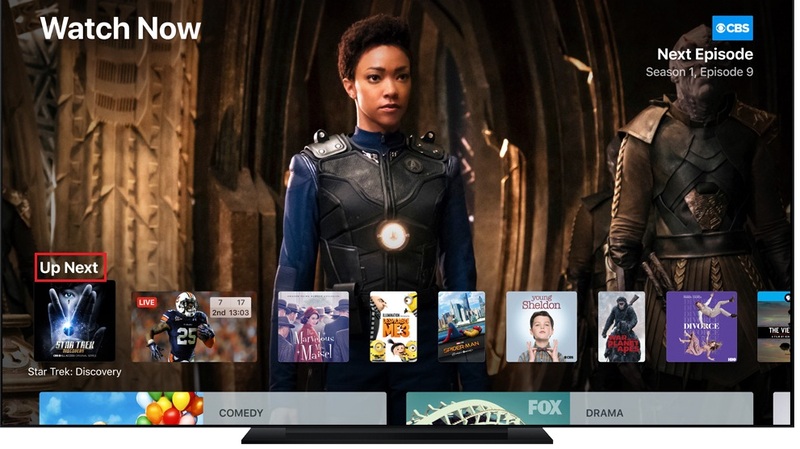 Nowadays, the iOS tv app has become more and more popular and widespread among youngsters, and it is the must-have app that offers the latest movies and classicTV shows. The main advantage of tv app iOS lies in the wide selection of films that include cool action flickers, thought-provoking documentaries as well as kid’s programmings. Also, the easy-to-manipulate and user-friendly interface is another characteristic that may capture your mind, and you avoid the annoyance of switching from one app to another by using the iOS tv app whiles streaming films. Furthermore, the iOS tv app enables you to resume watching from where you left out effortlessly, thus making the watching process more convenient regardless of the location and device. Anyway, the fun and convenience of iOS tv app are something you will become attached to and develop a yearning for. Therefore, you need to know about how to use the tv app iPhone. 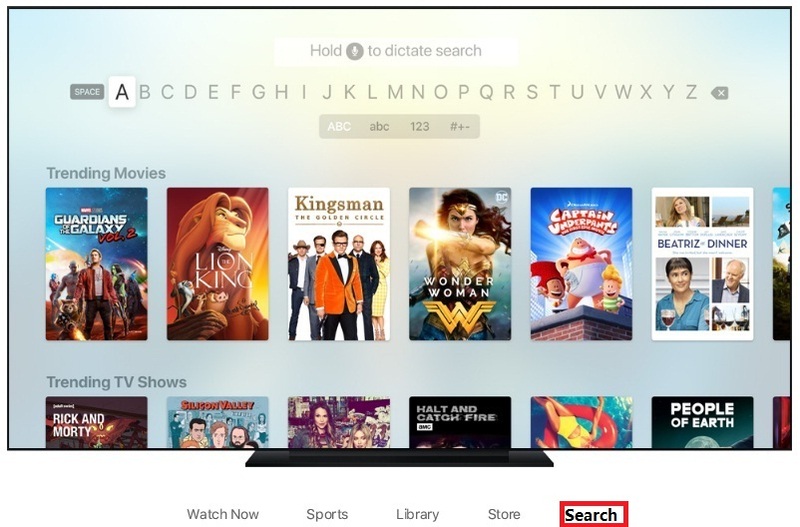 The tv app in iOS not only enables you to search the acclaimed movies, but also informs you of the options about where to watch the movies or TV shows. The clean and sketchy interface is one of its outstanding characteristics. Thus, you’d better learn about the functions of the main interface before trying to learn how to use it. The Watch Now screen is prompted when you launch the iOS tv app. 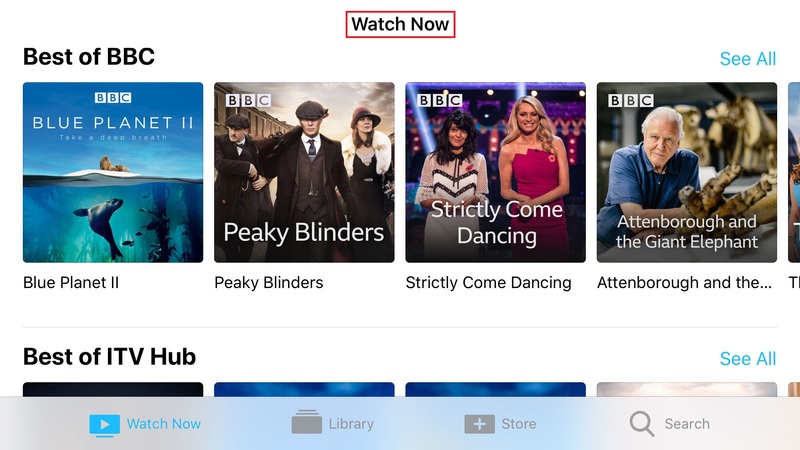 Once you open the app, a Welcome to the Apple tv app video will be played to demonstrate the main functions of it roughly. If you want to resume watching the movies and TV episodes from where you left off the last time, don’t hesitate to tap on the Up Next button. Tap on What to Watch to get informed about the contents Apple is pushing as well as the options of where to stream these contents. The options not only include free apps such as iPlayer, iTV Hub, Classic and My5, but also pull in subscription apps such as MUBI, Sundance Now and Classsix. 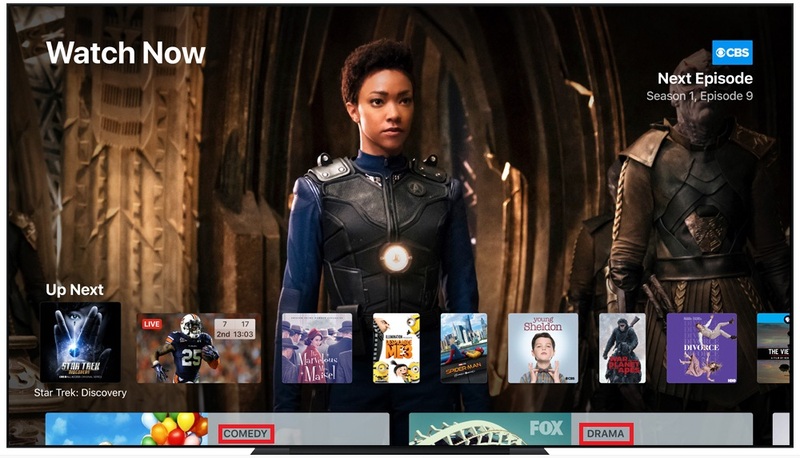 Stroll down to the middle of the interface page, then a Browse by Category section will catch your attention in a way that it helps you search by TV series genres. The TV series genres include comedy, drama, reality, documentary and sports, and it’s up to you to decide which one to choose. There are several ways of finding the blockbuster movies in OS tv app, and they are demonstrated as follows. Method 1. Tap on See All button to browse the Apple’s selection. Method 2. Tap on Search in the bottom right corner of the screen and type the name of the movie in the search column. Tap on the result to know about the options to play the movie and make the decision to begin watching. Method 3. 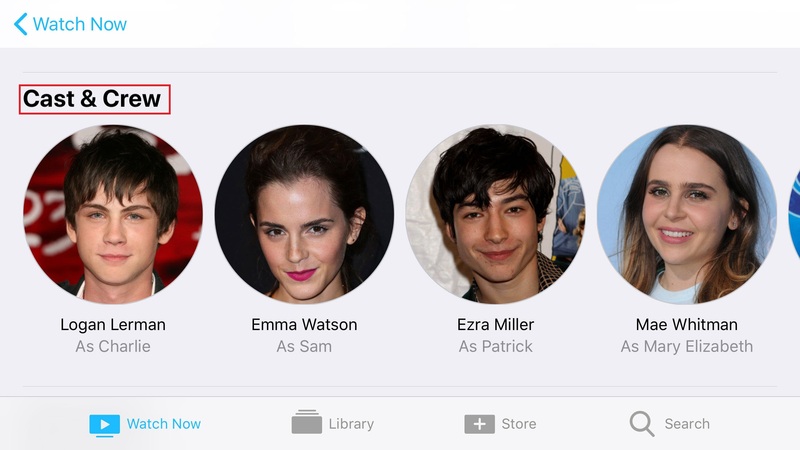 Tap on Cast & Crew to select the movie that your favorite star was cast in. 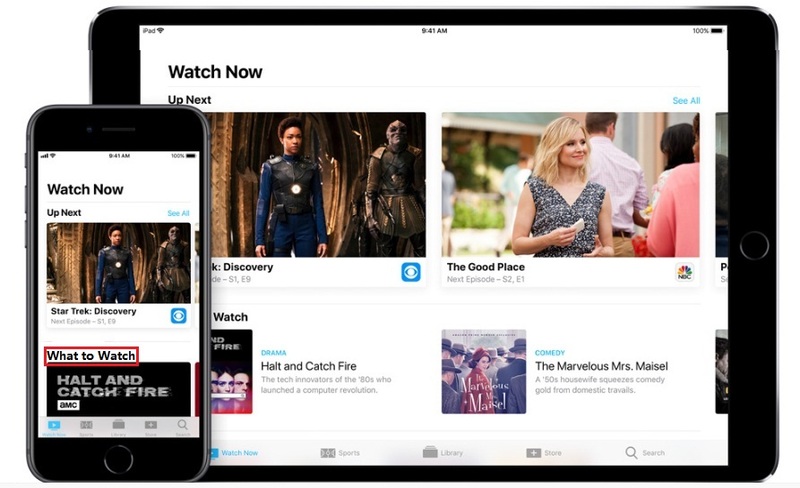 With the hit film in hand, you may wonder how to watch it on the iOS tv app. The procedure of watching TV shows and movies on iOS tv app is articulated as follows. Step 1. Take the kid’s programming named Peppa Pig for example. Tap on the cover image of the Peppa Pig firstly. Step 2. Once the cover image is tapped, the information of Peppa Pig such as rating, Rotten Tomato score and so on will be presented on the screen. Also, the options of where to play Peppa Pig is also provided, and the options include BBC, iPlayer, Prime Video, My5 and so forth. Step 3. Tap on the dots in the blue circle to see the options, and choose to tap on Open in My 5. Step 4. 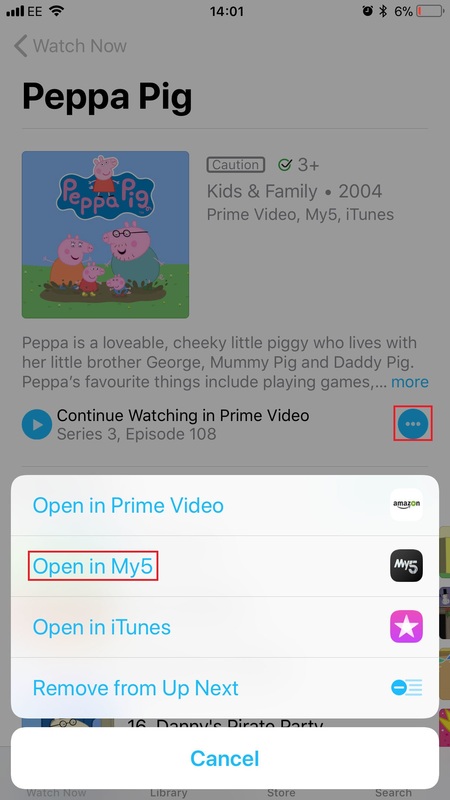 The My 5 app will open with all the Peppa Pig episodes available for access. You need to bear in mind that My 5 app should be installed in your iPhone or iPad in the first place in order to play the Peppa Pig with it. Step 5. Choose a certain episode for Peppa Pig, then tap on it for watching. Finally, the Peppa Pig will be played with My 5 app. If you want to mirror iPhone display to Apple TV in order to avoid the annoyance of narrow screen of iPhone, it is proposed to use Air play which is Apple’s proprietary wireless display technology. The process of mirroring iPhone display to Apple TV is demonstrated as follows. Step 1. Swipe your iPhone screen from bottom to top, then the Control Center appears on your screen. Step 2. 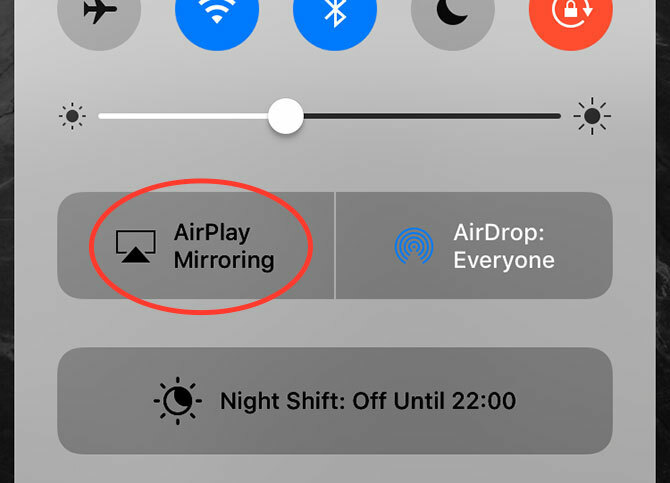 Tap on the AirPlay Mirroring Option. Step 3. Choose the Airplay receiver you are using once it is presented. Finally, the iPhone display is mirrored to Apple TV. For more detailed instructions for using AirPlay to mirror iPhone screen to your TV, check out this post:How to mirror iPhone to TV. The iOS tv app is the must have app that offer the latest movies, TV shows and music videos. It not only enables you to search the acclaimed movies, but also informs you of the options about where to watch the movies or TV shows. Tips on using the iOS tv app on iPhone or iPad are provided in the article, which include the functions of main interface of iOS tv app, the ways to find your favorite films on iOS tv app and the procedure of watching TV shows and movies on iOS tv app, are demonstrated in the article. It is proposed to use Air play to mirror the iPhone display to Apple TV, and the process of mirroring is also demonstrated in the article. If you follow these steps and adopt the methods, you’ll find the tips really helpful.